We have a fireplace in our house but we’re not allowed to use it due to health issues. As the winter gets colder, I stare at the empty fireplace wishing I could light a fire. What I would give for a blazing fire in that fireplace, a warm blanket and reading a good book. I would be a happy bunny. My first proper fireplace experience was when I was living in Ireland. (And I’m not talking Duraflame logs) My boyfriend had the genius idea to book a cottage for the summer out west in the middle of the Burrens near Galway Bay. It was also the summer of 2008, when they had the worst rains in history. That’s saying a lot for Ireland! It was absolutely miserable and windy and we were in the middle of nowhere. A village with only one shoebox-sized pub. Nothing else but cows and sheep. We had no car. There was one bus that went to Galway City and it would only pass through the village on Tuesdays and Thursdays! I swear the only thing that kept us from killing each other was keeping a fire alive in the two fireplaces the cottage had, one in the dining room and one in the living room. I’m surprised we didn’t burn the place down. Nonetheless, our summer of 2008 was interesting. It was an opportunity for us to live a simpler life and we learned the fire was at the heart of our survival. We did everything around that fire and we depended on it for so many things: entertainment (no television or internet), cooking, drying clothes, light, warmth and comfort, romance. There is also something about watching the flickering flames. It’s hypnotic and mesmerizing. You erase your mind and forget about your tensions. Little things that bothered you don’t seem to matter anymore. In essence, the fires in that little cottage in the middle of nowhere saved our relationship. He did make up for it by proposing in the end. And, of course, I said Yes! So this girl Julie comes up to the booth at a fair and asks for wood smoke perfume oil. Turns out she’s the chick who hangs her clothes next to bonfires just to get the smoke stink all over them. I’m with ya Julie, and this one’s for you! Sweet wood smoke and a little white musk and vetiver. The carrier oils I use are fractionated coconut oil and unrefined hemp seed oil, which make for a light, non-greasy feel when applied. The vitamin e is in there as an antioxidant. You’ll notice the shocking lack of alcohol. 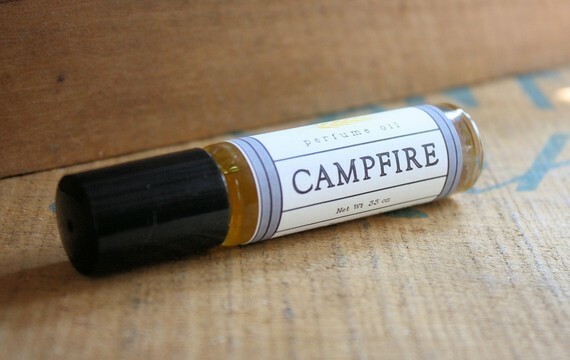 Scent: Long Winter Farm Campfire is another one of those fragrances that fall into the reality scent category. But this is a special kind of campfire. It opens with a sweet woodsmoke with slightly burnt or carmelized maple syrup. Long Winter Farm headquarters is located in Maine where I would imagine campfires are made from maple tree logs. On the final drydown, Campfire takes an unexpected turn. It travels from the western woods of Maine to the boggy moors of Western Ireland. In Ireland and in the U.K., the fuel source for most fires are peat briquettes. 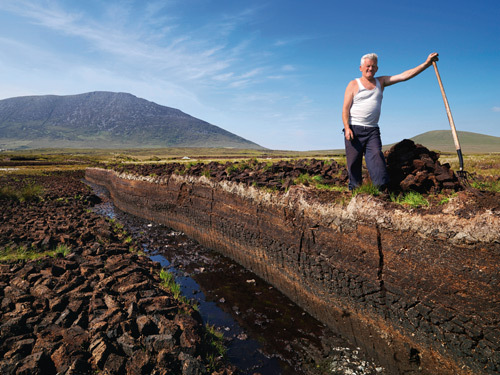 Peat is decayed plant matter that has partially carbonized in decomposition (turned into coal). They are dug up from bogs and marshes and burn smokeless and indefinitely. The smell of a peat fire is different from the usual wood fires I’m accustomed to. The closest I can describe the smell is smoked earth and the steam of wet grass. I’m guessing the earth and wet grass accord is coming from the white musk and vetiver. Long Winter Campfire smells of sweet woodsmoke and smoked earth. Not sure if this is what Amanda Nolan wanted to achieve, but the woodsmoke and earth is a fantastic combination! Sillage: As with perfume oils, it sticks close to the skin. If someone were next to me, they would be able to smell me. Would I Buy A Full Bottle? I already have a full bottle and would repurchase again. Season and Occasion: This is a heavy smokey scent. I would wear this during winter nights. Layering: Perfect for adding smolder to any of your fumes. I like to layer with rose scents to give it mystery. 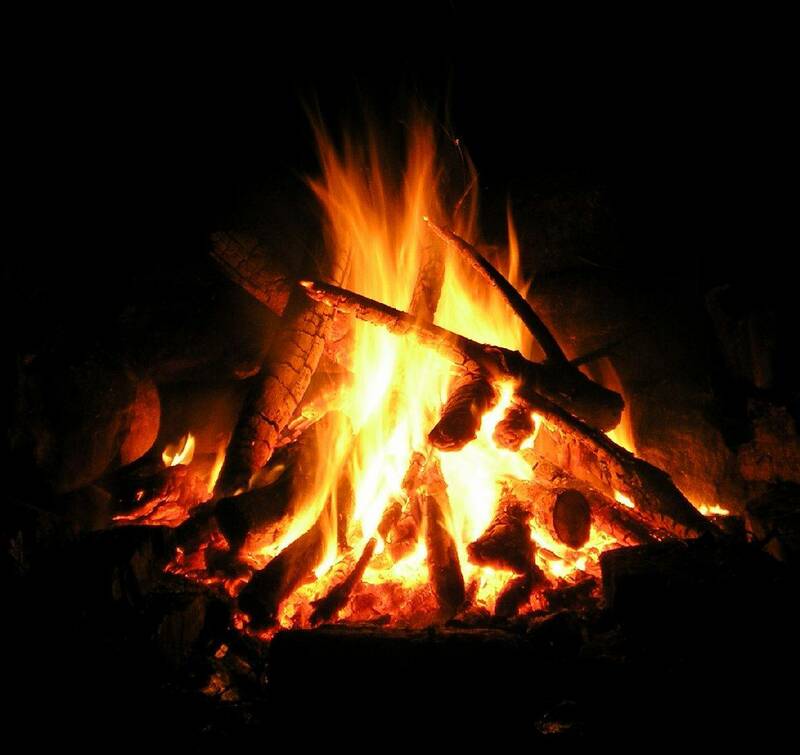 Campfire prevents sweet scents from becoming too cloying. Also smells amazing with spice and woods. Final Verdict: I admit I don’t wear this very often. Campfire is like an olfactory snapshot of my summer spent in that little Irish cottage with my husband. I like to take it out from time to time and reminisce. On occasion, I would layer it over other fragrances if I’m in the mood for something unusual and smokey. I can see why Campfire is one of Long Winter Farm’s best selling products. It’s comforting and familiar. Despite it being a best seller, I don’t see this fragrance appealing to everyone. Demeter fans would love this scent because of how authentic it smells. Avid campers will love love love Campfire. One whiff, you’ll be busting out the s’mores and start roasting! But if you’re one of those people who think their clothes stink after sitting beside a campfire, stay away from this one! Want more Long Winter Farm? Check out my reviews here.